Many thanks to the organizers, Matthew Stoner and Erin Lee! 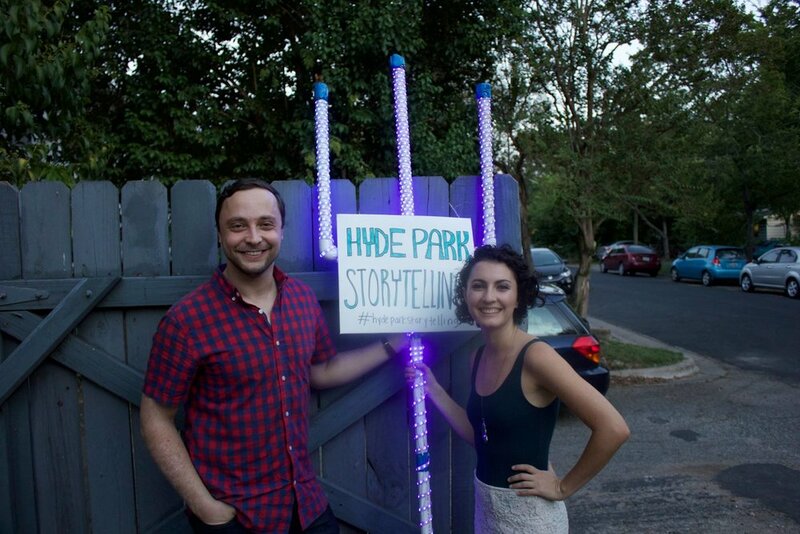 I told my third story last night, this time at Hyde Park Storytelling! I was more nervous about this story than any of the previous ones! I've never had so many people I knew in attendance (it's much easier talking to a crowd of strangers!) and I was particularly nervous about the content of my story. I told my testimony, which is about faith but has its fair share of cynicism. I wasn't sure how the Austin crowd would respond (it's not really "cool" to be Christian in Austin), not to mention the people from my church who were watching! The timing felt right, though, so I'm honored to have had the opportunity to share how I first came to believe and what I've learned since then.